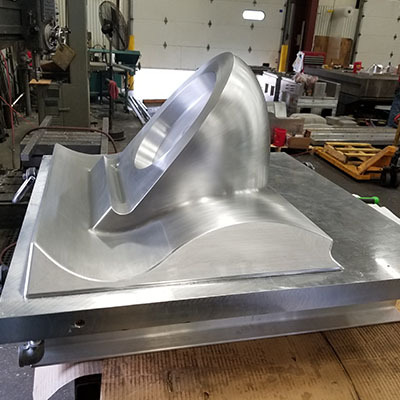 American Tool is known for their large complex and intricate thermoforming tools as well as the competitive pricing and lead times of small and midsize thermoform tools.Our engineers work with our customers to get the best plastic part from our aluminum molds. 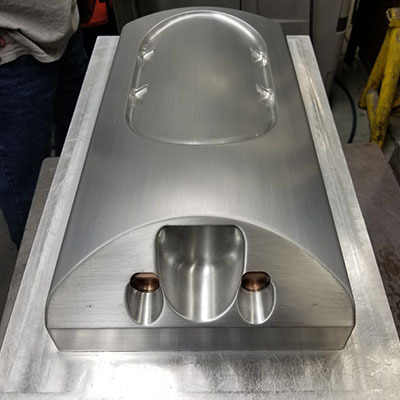 Also a wood or Renshape prototype mold could be the start of a thermoforming project; they are relatively inexpensive and allow the customer to make any changes to their design very easily. 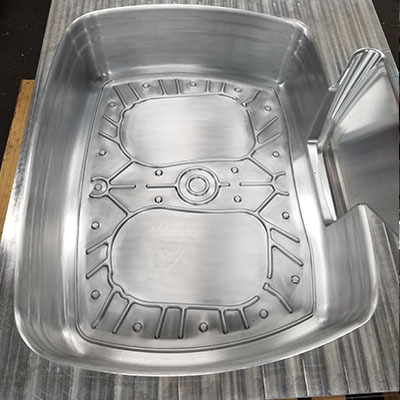 Machined aluminum Thermoform molds (Pressure Form, Vacuum Form, and Twin sheet) are American Tool’s expertise and they can be machined as a male or female. 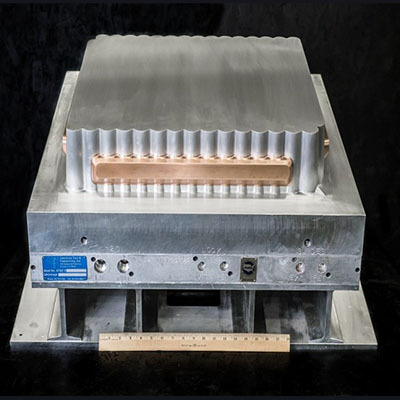 American Tool has a gun drill to drill internal cooling/heating lines into the aluminum block, this allows for the molds to be cooled or heated during the molding process. 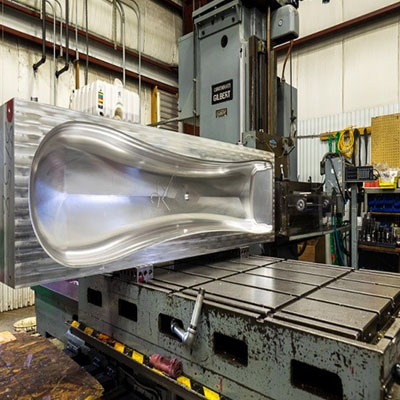 Machined aluminum molds can have the detail of an injection mold but at 1/3rd of the cost. 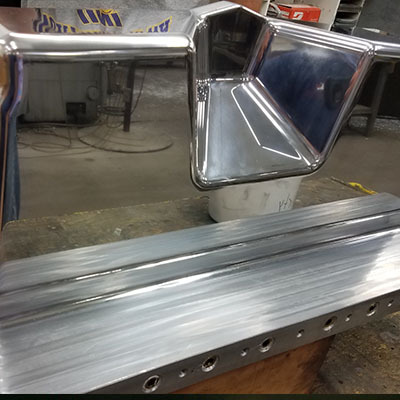 We are very familiar with lifters, slides and other moving parts to form undercuts and details; we utilize our 5 axis CNC machine for these. When the customers and engineers come up with the final design material is brought in. 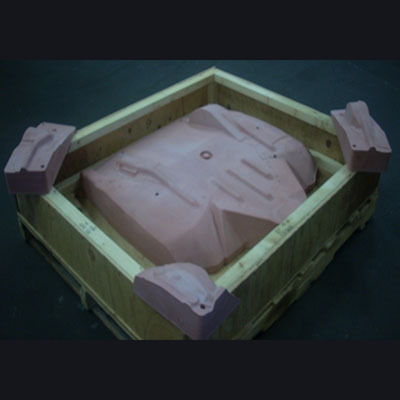 We CNC machine the solid aluminum block with our programs and supplied part data. 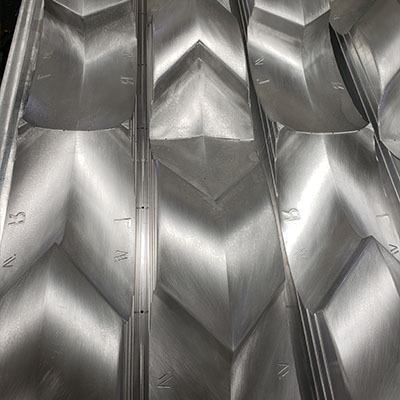 Our CNC machines can machine aluminum blocks up to 86” wide by 160” long and 38” tall. 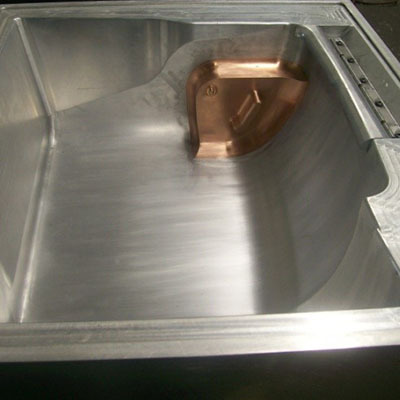 After machining, our toolmakers assemble the molds and test all the components and cooling features. A final inspection is done and the customer is sent the final inspection report.